We stopped playing regularly after my freshman year, and I always missed it after that. 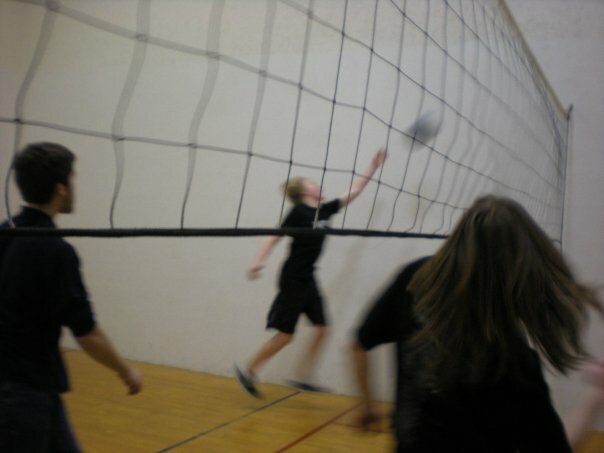 In the fall of 2011 I decided to give volleyball a try and enrolled in a class at Oakland Community College. I had a lot of fun taking the tennis class the semester before, so I thought I would try taking a course in another sport I missed playing. I went in a total novice and learned a ton by the end of the class. I went from not knowing what a “bump” or a “set” even meant to playing positions and calling out plays. We played in a five player team rotation and I was able to gains skills in serving, digging, setting, blocking, and spiking. I enjoyed the class so much that I plan on joining the volleyball club at Quest when I go to college.